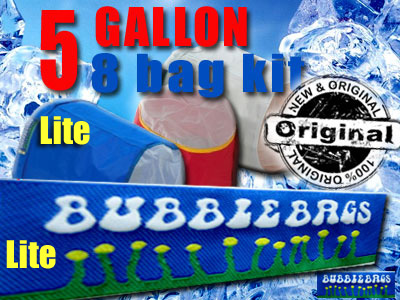 5 Gallon 8 Bag Bubble Bag Lite Discounts Apply ! NEW: 5 gallon Bubble Bags Lite – made by the same supplier as the Original Bubble Bags, but made with more cost effective fabrics. 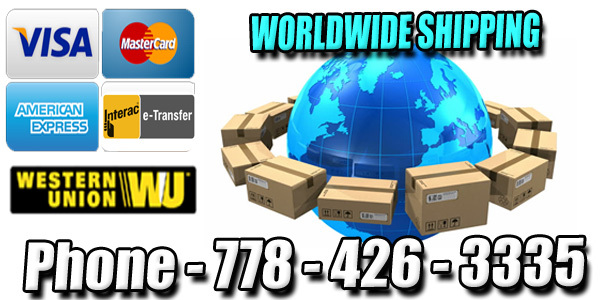 Bubble Bags Lite are durable and efficient for at home use. For heavy duty or professional use, our Original Bubble Bags are a better choice. The 5 gallon set can be used in a 5 gallon bucket. The 8 Bag kit provides for the utmost in quality and versatility for all your filter needs. The 8 bag kit contains a work bag, two contaminant removal bags, and five crystal collection bags. It also includes three blotting screens and a carrying bag.